I love getting new toys! 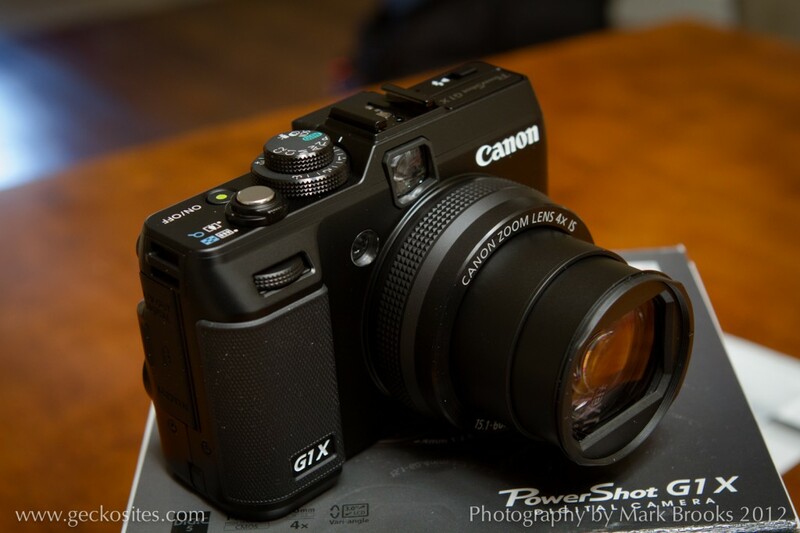 Canon G1X has arrived! Back in January, Canon announced a new addition to the G-line of Powershot cameras. Dubbed the “G1X”, it created a lot of excitement amongst photographers for a number of reasons – the HUGE sensor (nearly as big as the APS-C sensor in the 7D, and a little bigger than the four-thirds sensors so popular right now), flash hotshoe, full manual controls, ability to shoot RAW, great noise reduction at high ISO, image stabilization, and more. I’ve been shopping for a camera to supplement my D-SLR (Canon 7D with battery grip).. something that would be a little easier to carry around, but still take great photos. A while back, I got the Panasonic Lumix FZ-150. It was good because it had a huge zoom range on it, but a smaller sensor didn’t provide the image quality I wanted. It was also a little big for sticking in a jacket pocket. Here’s how the G1X sensor stacks up against the others.. I had pre-ordered the camera from Adorama.com back in January, but it was nearly impossible to get updates on arrival dates from them, and I was seeing other retailers get the camera in stock – so I started searching Twitter, and found a small camera shop (http://mikecrivellos.com/) in Wisconsin who knew they had ONE camera arriving. I reached out to Mike Wilbur at the shop and placed my order for the one camera they were getting. Customer Service was great, and I was really impressed with their response through email and Twitter. The camera shipped to me early this week, and arrived today. I quickly unboxed it, and one of the main things I was curious about was the flash sync speed. I took some photos as I unboxed it, and quickly put my Yongnuo RF-602 wireless flash trigger on the camera, and hooked up a Lumopro LP160 flash to test it out. VERY happy that it worked up to 1/800 !! My Canon 7D only syncs up to 1/250 .. this is really impressive. I am anxious to get out and take some photos with this camera – it’s got a great feel and weight to it and seems like another great Canon product. Thanks again to Mike at http://mikecrivellos.com/ for the great service and getting this camera to me so quickly!